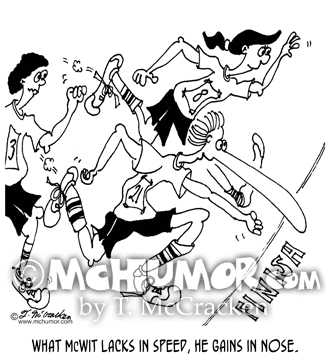 Running Cartoon 6722: A runner with a REALLLLLLLY long nose races to the finish line, his nose practically touching it. 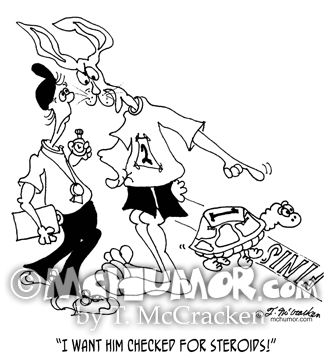 "What McWit lacks in speed, he gains in nose." 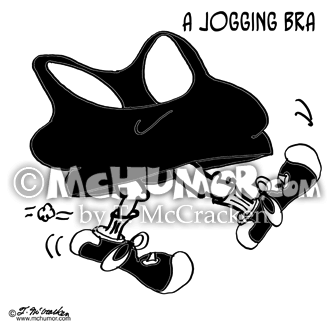 Jogging Cartoon 8471: “A Jogging Bra.” A bra with little legs and big shoes runs. 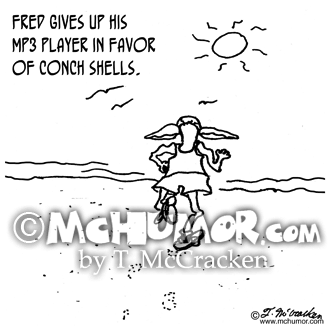 Running Cartoon 1291: “Fred gives up his iPod in favor of conch shells.” A man runs on the beach with two huge shells on his ears. 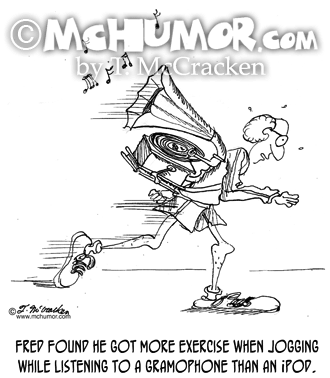 Jogging Cartoon 0106: A man running has a brain on a leash in front of him. 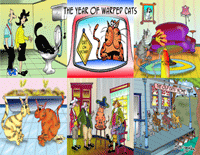 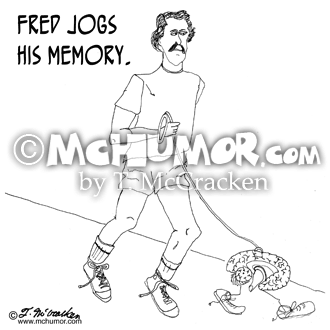 "Fred jogs his memory." 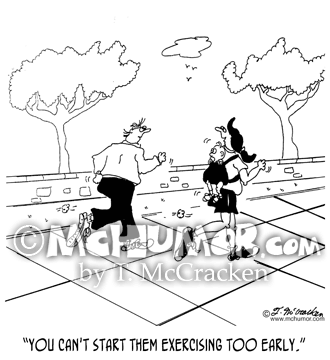 Running Cartoon 5369: A woman jogging with baby in back pack saying to someone, "You can't start them exercising too early." 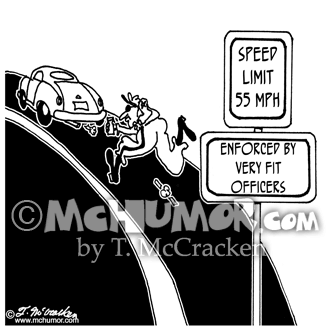 Running Cartoon 6024: A road sign, "Speed Limit 55 MPH. 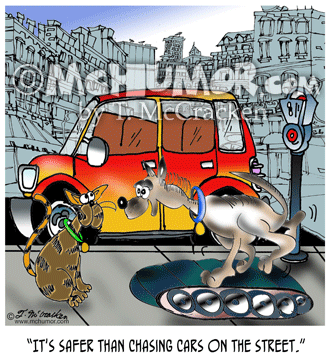 Enforced by very fit officers." 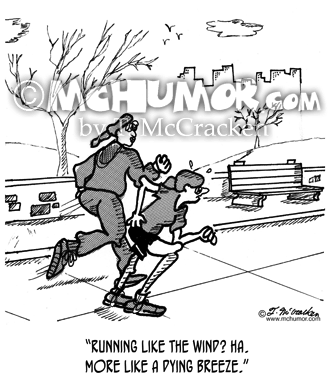 A cop jogs up to a speeding car."